We buy houses in Silverton and around Oregon. Let us make a fair all-cash offer on your house. Need To Sell Your Silverton House Fast? 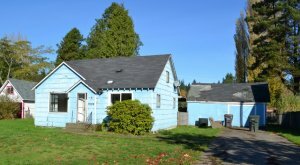 We Buy Houses Anywhere In Silverton, northwest Oregon and Southwest Washington, Any Location, Any Condition. Check Out How Our Process Works. We’re Ready To Work With You, Understand Your Goals And Structure a Deal Designed to Meet Your Needs. Stop the frustration of your unwanted property. 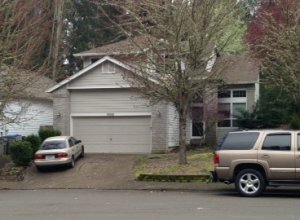 Let us buy your Oregon area house now, regardless of condition. We’re ready to give you a fair, all-cash offer. Avoiding foreclosure? Facing divorce? Moving? Inherited a house you can’t afford or don’t want? Liens? Or, just plain sick of it? It doesn’t matter if you live in it, renting it, or it’s vacant. We help owners who’ve inherited unwanted property, own a vacant house, are behind on payments, owe liens, downsized and can’t sell… even if the house needs repairs you can’t afford… and yes, even if the house is fire damaged or had tenants from hell. We’ll clean it up, we’ll fix it, we’ll deal with the permits and contractors. And, best of all, we’ll give you a fair, all cash offer that is net to you. No commissions! No realtors! No curb appeal required! Basically, if you have property and need to sell it… we want to make you a fair cash offer, with terms that meet your needs, that closes when you’re ready to move. Do You Need To Sell Your House in Silverton? Even if an agent can’t sell your house, we can help. (Selling a house with a real estate agent is not for everyone.) You won’t need to clean up the property or make repairs. Even if you find an agent you trust to deliver on their promise of selling your house quickly, you won’t have to sign a contract that binds you to an agent for a certain term, you won’t have to deal with waiting for buyer financing approval and hoping the deal goes through. We’ll know very quickly if we can help you. And if we can, we’ll bring cash! We’re ready to buy right now! Working with an agent adds stress, months to the process, and in the end you’ll probably come out with less money (the commission you know). Let us clean the place up and make the repairs. We have contractors we work with all the time so we can get the job done faster. We work differently at AppleTree Group LLC. We are more interested in connecting with you than making a transaction happen. We really want to understand your situation and goals for selling. If we think you can solve your problem without selling, we’ll tell you. More than once I’ve told a client, “Why not just get a second on your house?” Usually the answer is “I just don’t want any more debt,” or “I just want to be rid of it!” The point is we can’t give you the best offer on your best terms unless we talk to you and understand the issues that are causing you to want or need to sell your property. In short…No matter what condition your house is in; no matter what situation or time frame you’re facing…Our goal is to help make your life easier and get you out from under the property that’s stressing you out… while still paying a fast, fair, and honest price for your house. We help property owners just like you, in all kinds of situations. From divorce, foreclosure, death of a family member, burdensome rental property, and all kinds of other situations. We buy houses in Silverton and surrounding areas and pay a fair cash price, fast. Sometimes, those who own property simply have lives that are too busy to take the time to do all of things that typically need to be done to prepare a house to sell on the market… if that describes you, just let us know about the property you’d like to be rid of and sell your house fast for cash. Why Won’t My House Sell In Silverton? I Inherited a House, What To Do? – Should I Rent or Sell in Silverton?